Abraham Lincoln was the first president to be assassinated while in office. Two presidents were assassinated in the 19th Century and two more would be assassinated before the end of the 20th Century. What contributions might these gentlemen have made had their lives not been cut short? 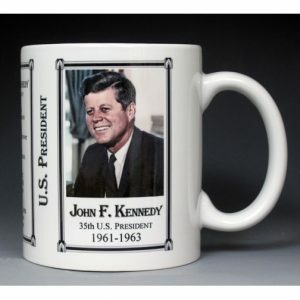 This U.S. President John F. Kennedy History Mug is one of a complete collection of U.S. Presidential biographical mugs. 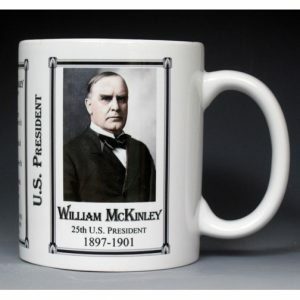 An image of John F. Kennedy and a short biography are features of this history mug.